With the average driver on the road up to 3,000 miles per week, creating and managing driver fitness programs is a major challenge for fleet operators. For the nation’s 3.5 million long-haul drivers, all those miles translate to a sedentary lifestyle that can lead to health and sleep problems. A survey of truck drivers found that 69 percent were considered obese and 54 percent smoked. Like many people with jobs that force them to sit for long periods, it’s tough for drivers to make time for exercise. But there are ways to make exercises for truck drivers easier. That’s where Skimble comes into the picture. A Bay Area start-up, Skimble created Workout Trainer, an app that features thousands of workouts and custom training programs. The workouts are geared toward bodyweight-only high-intensity workouts, quick strength building routines and energizing yoga practices, which makes them perfect for drivers with limited time and space. See how Rocha Transportation found a solution for the ELD mandate and added fleet telematics. Skimble is involved in Samsung’s “Made for Samsung” program and offers the Workout Trainer app, available for download for free in the Galaxy Apps store, with some exclusive content for Samsung. Samsung device owners have access to premium content and can unlock a three-month free trial to get a preview of premium offerings in the application, Ly noted. Skimble delivers a wide variety of workout programs focused on different needs. One of the most popular channels is the Active Trucker program that includes Phase I and Phase II, led by trucker-turned-fitness-trainer Siphiwe Baleka, a tri-athlete who has helped thousands of truck drivers lose weight and reduce medication dosages through his driver wellness programs. The exercises are designed to reflect the daily reality of life on the road to help promote truck driver wellness. “Every exercise that the driver sees is demonstrated by a truck driver at a truck stop,” Ly said. Like the other Workout Trainer options, the Active Trucker driver fitness program uses devices like Samsung smartphones and tablets, and syncs workouts with wearables like the Samsung Gear S3 and the Fit2. The Workout Trainer app also syncs with the Samsung Health app, so users can view workouts completed and calories burned, Ly noted. 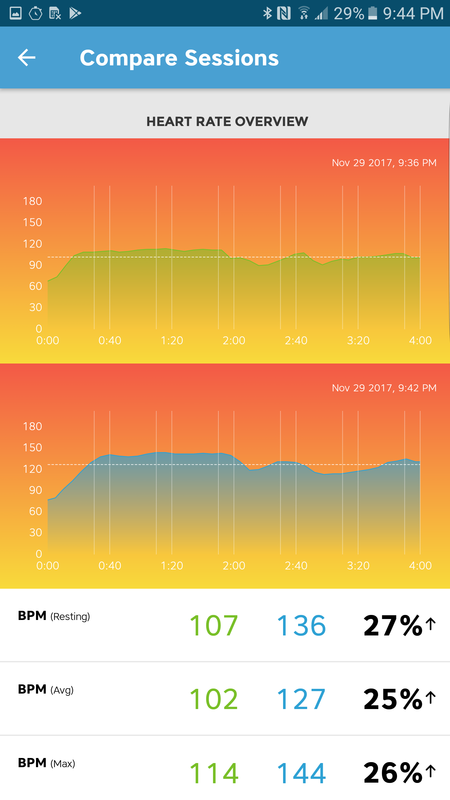 The smartwatch app highlights various exercises, time left in the session, and allows the user to pause and resume the workout. For workouts, the application will instantly track heart rate with the Gear smartwatch, and provide an overall summary with key metrics. PRO+ Skimble members can compare current performance against past workouts, and evaluate their progress over time at the exercise level. Pairing the smartwatch and a mobile device creates an immersive, connected experience for the user. The driver can use a tablet in the cab for an electronic logging device, navigation and communication with dispatchers. 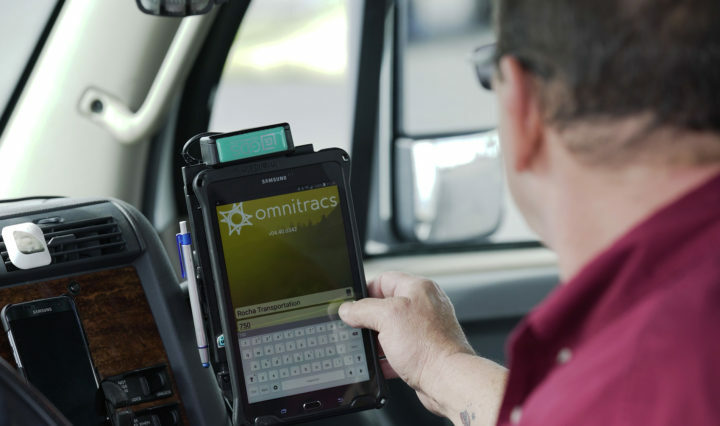 When the driver is off duty, the tablet can be used to track and augment truck driver wellness programs. “For the truck driver always on the go, it’s as if they have a trainer by their side providing them move-by-move training wherever they are,” Ly said. The app includes a social component that connects truck drivers with their community to compete via activity points earned in workouts. Drivers who work with a personal trainer can share data as well. Fleet managers can even track truck driver wellness by gamifying the drivers’ activity. See how simple it is to get started with exercises for truck drivers with the Active Trucker fitness program.